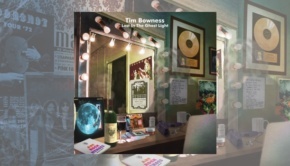 To tie in with Roger Trenwith’s review of Tim Bowness‘ fab new waxing, Stupid Things That Mean The World (which you can read HERE), Tim kindly gave his time for the following interview, hot from the ‘Shed. Hi, Tim and thanks for talking to The Progressive Aspect. Summer will be a busy time for you, what with the release of the new album Stupid Things That Mean The World (out on 17th July), and the gigs in Bristol and London on 25th and 26th August to launch it. 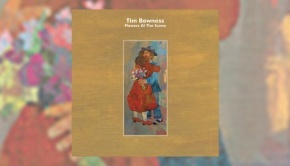 For many years we got used to long gaps between no-man albums, and now with Steven Wilson embarking on his much-deserved successful solo career, we have had two solo Tim Bowness albums in relatively quick succession. Have the songs been piling up, or is it down to a sudden burst of recent creativity? The starting point for Stupid Things That Mean The World was the album’s title track. I wrote it in my home studio just a few weeks after Abandoned Dancehall Dreams had been released. Abandoned Dancehall Dreams had generated some of the best responses I’d ever received for an album and I was feeling positive and enthusiastic about developing more solo work. I was keen to see how I could take the ‘solo identity’ further and a lot of material emerged from mid 2014 onwards. I’ve been working on other projects for years (such as the new Bowness/Chilvers album), but this became the priority for me. I’d say that 80% of the new album comes from the last year, so it is mostly recent. I wrote more than appears on the album. All of the older tracks have been significantly altered, so they they feel pretty new as well. Have you kept in touch with Steven? Has he heard the new album? I have and he has! He was very encouraging and positive about the material. I was mainly in touch regarding certain mix decisions. Luckily, he agreed with opinions I already had, and his confirmation helped to reinforce the strength of my own convictions. Do you have a set way of writing, melodies first and then lyrics, for example? I use any method that works. Musical material is generated by writing on guitar, programming on the computer, improvising with other musicians and so on. As for lyrics, they generally take longer than the music to get right. Mostly I right the melodies first and then write the lyrics to the melody (sometimes a long process). That said, sometimes I will work from existing lyrics and create a melody from them. Are the themes running through Abandoned… developed further on the new one? Musically, in some cases yes. I feel that ,i>The Great Electric Teenage Dream, At The end Of The Holiday and Press Reset take aspects of that album further. Lyrically, there are some similar themes of nostalgia and there are some pieces that could fit in with the overall ,i>Abandoned Dancehall Dreams concept, but it wasn’t intentional. The new album’s title concerns the small and seemingly trivial things that make us who we are or help us through our lives. It could be an old toy, art/music, shared intimate language, a belief system, an annual holiday, the image or idea of someone you loved in your youth, etc etc. I was also thinking of something like the significance of the seemingly insignificant Rosebud in Citizen Kane. Some of the songs reflect the title’s theme. Your lyrics are usually introspective, or observations of personal micro-worlds, often involving themes of personal politics, and raw emotions. Given recent tragedies in the wider world, do you ever feel the need to write about those horrors, even in general terms? I have occasionally addressed wider issues – in an abstract way on Wild Opera and with Centrozoon, for example – but generally I think that even in times of global crisis, the personal tends to dominate. With the song Brightest Blue, I was imagining life in a war zone, but from the perspective of a couple in love. With that song, it was the love that was the only thing keeping the characters together in a time of uncertainty and danger. I often feel overwhelmed and helpless in the face of wider political crises. The character’s obsessions in my lyrics are also overwhelming, but they’re ones I feel I can give some authentic voice to. I guess there’s something of the cliche that the personal is universal that permeates the lyrics. As far as the recording and live performance goes, do you present the songs fully formed and/or scored to your band members, or is the music worked up in a collaborative fashion, rehearsed and then recorded? Of course, this all assumes the band and you are in the same place when it can all be done across the ether, which may be the case here? Things come together in a variety of ways, really. Some in real time, others over the net. With some songs – I Fought Against The South, Everything You’re Not/Everything But You and Know That You Were Loved, for example – I presented complete guitar songs to the band (and to the orchestrator Andrew Keeling). I’d have had an idea of the arrangements I was after, but there’s always room for someone else’s interpretation or input (in terms of playing and texture, rather than compositionally). Some pieces – like Smiler At 52 or Soft William – were presented fully formed and didn’t change beyond real instruments replacing sampled or programmed ones. Others develop over time. The Great Electric Teenage Dream came out of an idea Stephen Bennett sent me. I wrote a lyric and melody to it and suggested a structure and we subsequently developed it live in the studio along with Michael Bearpark (a really enjoyable Midnight session). After that the likes of Andrew Booker, Colin Edwin and Bruce Soord fine-tuned elements and added distinctive parts. How does this differ compared to working with no-man? It’s similar in some ways, though the sound of no-man is always something that’s been filtered through both mine and Steven’s opinions. With my solo work, I provide all the starting points and have the final say. Generally speaking, Steven and I have similar ideas about where we’d like to take no-man (the band’s music is still important to me and something quite personal). A track like Press Reset highlights some differences, though. The brutal ending is something that would have appealed to both of us, but I suspect Steven would have suggested handling it differently and possibly complicated the parts. I may be wrong, but because Steven could do ‘Rock’ with Porcupine Tree, I felt that that was an area he preferred to avoid with no-man. 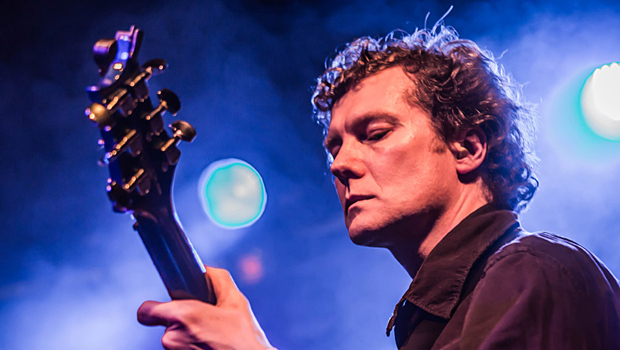 There are a number of guest appearances on Stupid Things…, including Peter Hammill, Phil Manzanera, and Pat Mastelotto among others. Tell us a little about how these came about, and what those three contributed. With Phil, it was because I liked a piece of his from one of his more obscure albums. It was a lovely instrumental and I could hear a song over it. I told Phil and he was kind enough to send me the multi-tracks to tamper with and make a song out of. With Pat, he was more a part of the last album (where he contributed a lot of material). On this album, we used one of his powerhouse drum patterns as the backbone of one of the pieces and it was extremely inspirational to work from. Pat’s great as both a traditional Rock drummer and an electronic percussion innovator. He has a great sense of sound. An underrated talent in my opinion. With Peter, I went into his studio to record two pieces (Everything You’re Not/Everything But You). He added some excellent backing vocals and played a lot more guitar than appears on the finished song, as the arrangement changed over time. He was an incredibly encouraging presence in the studio. I have only had time for a couple of listens to Stupid Things…, but it seems on first impression to be more expansive than Abandoned Dancehall Dreams. Was that intentional or did it just pan out that way? I particularly like the building adrenaline rush of the opening track The Great Electric Teenage Dream, which has a marvellously “big” production. I’ve always been drawn to the epic as much as the intimate and Abandoned Dancehall Dreams showed that, I think. with this album, I did want to take that aspect further. Of course, there are intimate pieces on the album, but I do feel this album has a greater sonic range and reflects multiple aspects of my tastes. Some projects – such as Bowness/Chilvers and Memories Of Machines – work within defined emotional and musical parameters, but I feel that my solo work (along with no-man and Henry Fool, perhaps) has the scope to do many things and ultimately be more reflective of different sides of my musical personality. My one regret on the new album was that I had to drop a track that was amongst the most dynamic and strange I’d ever written. The problem was that the version of this potentially striking piece was shockingly bad! None of the above is to denigrate my work with other projects, by the way. I love extremely quiet and intimate music and sometimes working within strict limitations can produce a rare focus and bring out the best in musicians. The album is mixed by Pineapple Thief’s Bruce Soord, who I guess also adds that guitar burst at the end of the first track? Another Pineapple Thief, Steve Kitch, mastered the record. How did the association with “the other PT” come about? Through Steven Wilson. He recommended Bruce, so I listened to Bruce’s mixes. I really liked the fact that he could do hard and soft, and electronic and acoustic equally well. I asked him to play certain parts and he did a great job. In some cases – Know That You Were Loved and Press Reset – just playing my demo much better and, in others – …Teenage Dream – really expanding the sonic palette and interpreting it in his own way. Who will be in the band for the two upcoming gigs? 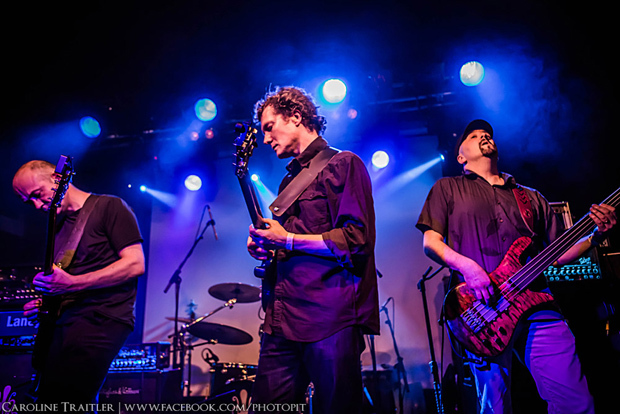 The band comprises me, Colin Edwin, Andrew Booker, Stephen Bennett and Michael Bearpark. What’s nice is that we always work to the strengths of the band. Song versions are always interpretations rather than direct replicas of the recordings. It’s Jazz (not Jazz)! I notice among the albums on the “Listening” list on your website is the sublime Starless Starlight by David Cross and Robert Fripp. 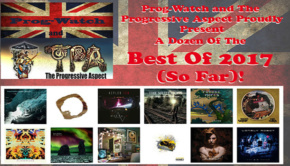 What other new (as in five years old or less) albums have crossed your CD player or streaming device in recent times? I listen to music a lot still. I go through phases of listening to back catalogues by artists (currently Crosby, Stills, Nash & Young and its myriad offshoots, Bill Nelson/Be Bop Deluxe, John Coltrane and The Who) and new things. I’ve liked recent albums by Sanguine Hum, Kate Bush, Keaton Henson, Björk, Robert Plant, Brian Eno / Karl Hyde, Peter Hammill, Steven Wilson, FKA Twigs, Troyka and more I can’t remember. The David Cross / Robert Fripp album was really lovely, I thought. Inevitably, I’m looking forward to hearing new King Crimson material as Fripp – like Peter Gabriel – always seems like an exciting ongoing work of art. I read somewhere you were working on a follow-up to the 2002 album California, Norfolk you made with Burning Shed colleague Peter Chilvers. How’s that coming along? 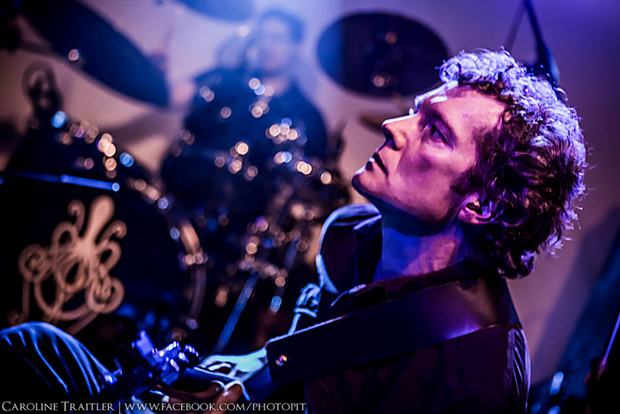 It features some of my most personal lyrics and Peter’s musical abilities have come on a lot since California, Norfolk. 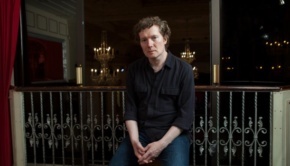 Partly due to his ongoing work with Brian Eno and Karl Hyde. It’s extremely intimate and low-key, but there were a couple of pieces that both musically and lyrically seemed like a genuine departure. With running Burning Shed you must get a first-hand view on the state of the market for eclectic music. The current debate revolves around streaming, in particular Apple’s new service. How do you see things developing, particularly for less established artists, and artists in niche markets such as prog in all its many guises? At the moment, a lot of the music we deal with still has a physical sales base. I listen to music mainly on my iPod or my computer. Streams and downloads are liberating in many ways, but I’m still a sucker for physical packaging and design, so I still buy a lot of music. Despite issues of space, I don’t think I’ll ever fall out of love with vinyl or CDs. I started buying music in an era when the imagery of album covers was a significant part of the music experience and I’ve never lost that fascination with attention to detail or the evocative link between sounds and image. As yet, I don’t feel that downloads or dreaming have the romance or appeal of physical releases. I suspect that in the near future most people will stream music (due to its convenience) and there’ll be a select group of ‘physical’ music enthusiasts who exist alongside the streamers. One thing is certain and that’s that artists starting now (or over the last decade really) won’t find it easy to make a career out of music. Lest we forget, it was very difficult to become a musician even when I started out. Only 0.1% of bands were lucky enough to get legitimate music deals and only 0.1% survived beyond a couple of albums. Indifferent, but happy for them. Norwich (entirely because of their Subutteo kit!) are a team I’ve always liked. I moved away from Norwich over a year ago and I’m originally from the North West, so they’re not really my team. I was brought up supporting both the teams my parents did (to encourage harmony! ), so due to an accident of birth, I support Leeds United and Manchester City. A continual ‘battle of the roses’ sums up my early life! By all means introduce yourself at the London gig.